If you can find good, fresh Key limes, by all means use them. 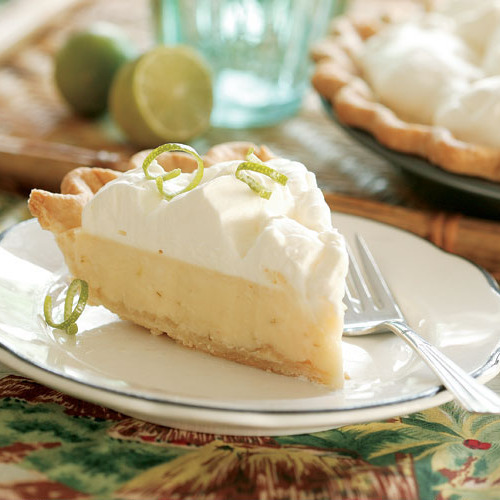 But I’ve found that regular limes (also known as Tahiti or Persian limes) make just as good a pie. Whatever you do, avoid bottled Key lime juice; the processing changes the flavor significantly. Put the flour and salt in a food processor; pulse to combine. Add the butter cubes and pulse until they’re the size of extra-large peas (about 10 quick pulses). Add the shortening and continue pulsing until the largest pieces of butter and shortening are the size of peas (10 to 15 more quick pulses). Sprinkle 2-1/2 Tbs. of the water over the flour mixture and pulse a few times until the mixture just begins to come together. It should look rather crumbly, but if you press some between your fingers, it should hold together. (If it doesn’t, sprinkle on another 1/2 Tbs. water and pulse a few more times.) Dump the crumbly mix onto a lightly floured surface and press the dough into a 1-inch-thick disk. Wrap in plastic and chill for 30 minutes. 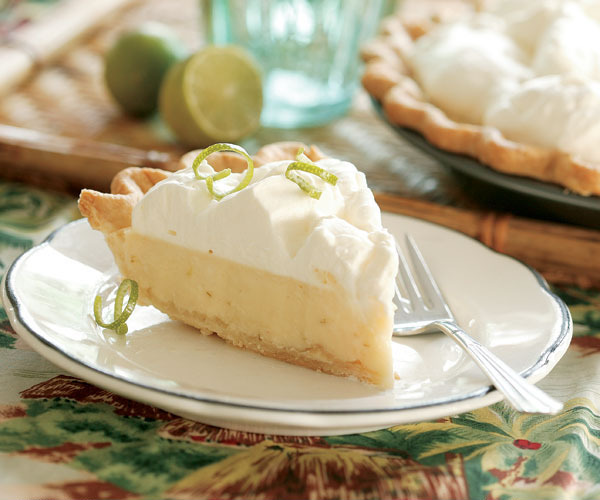 The best key lime pie EVER!!! Excellent. I agree with the fact you need more limes. The use of zest is a true enhancement.